Songs will include those from her recent album which has received excellent reviews. Singing in Bayeux, Normandy at the opening exhibition of the Prestonpans Tapestry. It will be on exhibit alongside the famous Bayeux tapestry until end of October. Singing with Jenny Swan and Christine Charles and guitarist Sean Paul Newman, as part of Tim Porteous storytelling event. This set of songs relates to the theme of war and its consequences. 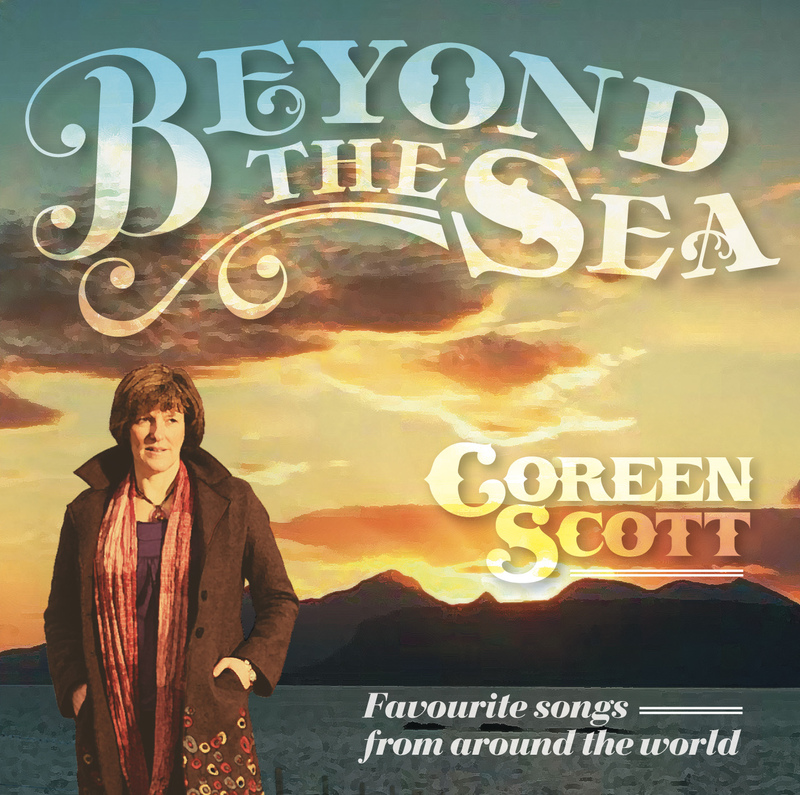 ‘Beyond The Sea is the new album from Scottish singer Coreen Scott. Singing in French, English and Portuguese, the album is a collection of songs from around the world. From the haunting melodies of Sandy Denny’s Who Knows Where the Time Goes and Tom Wait’s The Briar and the Rose to the thought-provoking lyrics of Weeping and the deceptively jaunty sound of Je ne veux pas travailler, Coreen’s voice soars above the beautiful instrumental melodies and tight-knit harmonies – there is something for everyone on this CD, including lovely interpretations of such classics as the Dylan’s To Make You Feel My Love, Piaf’s La vie en rose, and Christine McVie of Fleetwood Mac’s Songbird, but also the more rhythmic South African Weeping, the Portuguese Manha de carnival and the lovely French La mer. A host of special guests appear on the album including jazz guitarist Marcus Ford accompanying Coreen on the Edith Piaf classic ‘La Vie En Rose’. The album was engineered by Ian McCalman.